You could use just about any fresh herb instead of the basil in this easy recipe for tender, juicy, and flavorful Lemon Basil Drumsticks. Some thyme leaves or a fresh sage leaf would also be delicious. Or you could make this recipe with chicken breasts or thighs. If you choose to use chicken breasts, reduce baking time by about five minutes. Chicken thighs should bake in about 25 minutes total. Or you could use this recipe for a whole chicken. The baking time, in that case, would be at least an hour depending on the size of the bird. This recipe was developed for use with bone-in chicken products. If you use boneless thighs or breasts, the baking time will be reduced by about 15 minutes. 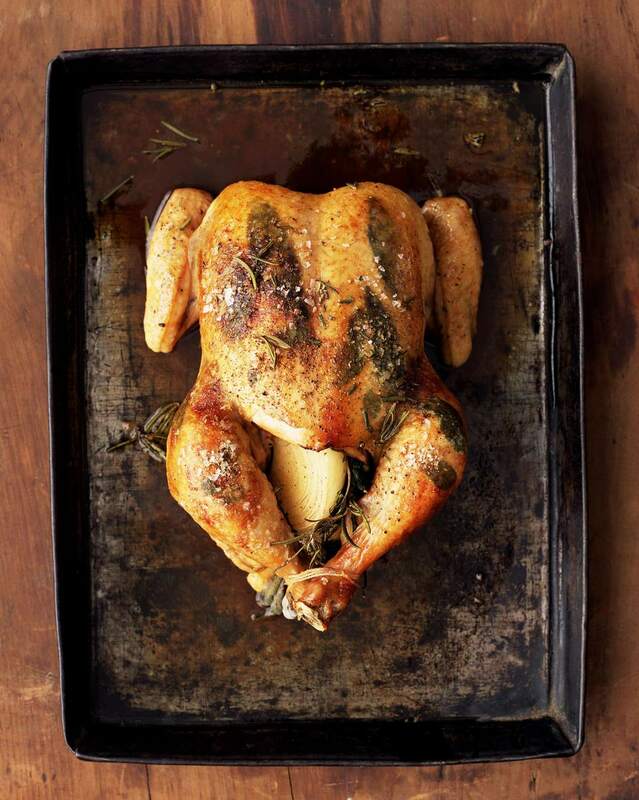 Always use a food thermometer to check that the chicken is properly cooked before serving it. Chicken thighs and drumsticks should be cooked to 165°F; chicken breasts to 160 F and a whole chicken to 170 F tested in the thigh. Putting herbs in between the skin and meat of chicken is a classic idea. Not only does it flavor the chicken, but the finished dish looks so beautiful. This recipe is easy too, as long as you work carefully and don't tear the skin. Serve this dish with some scalloped potatoes, steamed asparagus or cooked baby carrots, and a fruit salad for a classic meal everyone will love. Preheat oven to 350 F. Spray a 13" x 9" glass baking dish with nonstick cooking spray and set aside. Gently loosen skin from chicken drumsticks, being careful not to tear the skin. Place basil leaves between skin and flesh of drumsticks and smooth skin back into place. Combine lemon juice, butter, honey, lemon peel, garlic salt, pepper, and dried basil leaves in a small bowl and stir well to blend. Place the chicken pieces in a single layer in a prepared baking dish with the herb side up and brush with half of the lemon mixture. Bake drumsticks at 350 F for 30 minutes. Then turn drumsticks over and brush with sauce again. Discard any remaining sauce before serving.